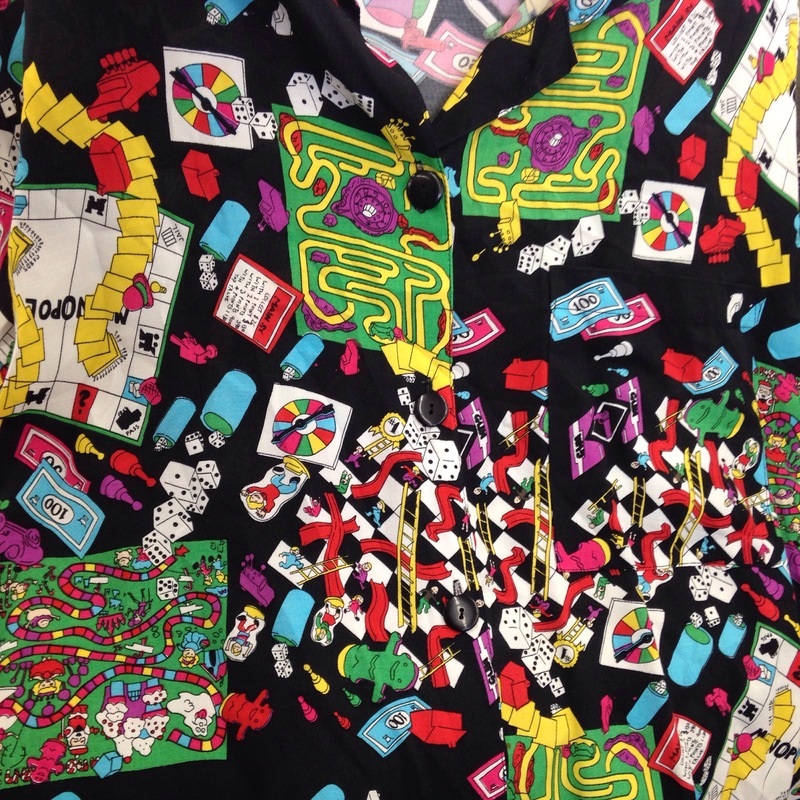 I absolutely love a good novelty printed garment, and today while I was out thrifting, I came across nothing but the best novelty printed shirt I have seen in a long time. The joy and excitement that ran through my body when I spotted this baby had me on cloud fifty, and I did not want to come down. Here’s my new found love. If you know your board games, you can probably identify some of them. I see Candy Land, Monopoly, the Twister spinner, and Chutes and Ladders. What do you see? Tags: Diaries of a Vintage Addict, my style, thrift shopping. Bookmark the permalink.